Hi..Friends...if you Want Sinhala Song Chords ?????? You can request chords for Sinhala,or any song here. Leave name of the singer and song title..
(via Youtube or download link maybe). ඔබට අවශය ඕනම සින්හල ගීතයක කෝඩ්ස් අපි ඔබට දෙන්න සූදානම් !!!!!! එකේ පෝස්ට් කරන්න.මෙම Chordssrilanka Site එකෙන් ඔබට අවශය ගීතය ලබා ගත්තානම් අපිට උපකාරයක් ලෙස කෝඩ්ස් ශී‍්‍ර ලංකා Fan page එකේ Like එකක් හෝ Comment එකක් දමා යන්න කාරුනික වන්න. Dear Nature, Your Work is Done, See & enjoy. can you please post the chords of "meka sonduru lokayak"
yow.. If you can please work out on the song "Numbe Suwanda Pirunu" by Sanath Nandasiri.. :) And this is really a good job. Well done man. Keep it up..
Dear Romeo Sierra,Thanks your comment. Sunil edirisinghege "MALLIYE NARAKA MITHURAN" song 1e chords tka danna puluwanda? hi can you please add the chords for this song http://www.youtube.com/watch?v=YCxfdpPeHg0. nuwan gunawardana ge "kandulinma geyuu pem geethaye" song eke chords ewanna puluwanda? pls i want chords of penena suwa dasun -henry kaldera song. Can you give us ،،mee amba aththe koho koho;chords..
Dilip nanayakkarage ur REQUEST is done. Could you please give me the chords for Surangani? can you make chords for duhul meedume (h.rjothipala)and api kasi soyala seeduwa sakura. Yahas Udara..your work is done..
mata wijaya bandara welithuduwage " Arayum pathak ma surathe thaniwee " song ake chords denna puluwanda?? mata roshan fernandoge ' nil dasak laga nathara wela ' song1 chords denna puluwanda? mata Namal Udugamage " pem sihine ai inne - ma hara giye kumariye obai" geethaye chords denna puluwanda? Hi Could you please add the Chords of Sneha Teledrama theme song-" Suwandak wee...by Amal Perera. It's quite nice... Thanks for a very good site and keep up the good work. Your work in done....Sinhala Song Chords,Mage Nopenena Adare.. I would simply say “ Pin sidu wewa”. This is extremely a good effort. I recently found this site. In most of the cases when we brows singhala song chords’’, your site is not been easily linked. It goes to different sites where we can find the singhala songs chords. 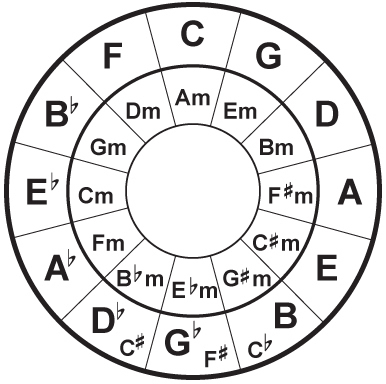 However, none of those sites can be compared to your sites since; you have included guitar chords for Old songs. You have incorporated chords for Jothipala, Sujatha, sisira, Milton perera, Anjaleen, Mohideen beig so on. These singers songs chords can be found from other sites also, but those are not being updated for a long time. Your sites keep on updating those old singers songs chord for regular basis. That is different I find. In last ten days time, you have droped singer jothipala couple of film songs where I could not find anywhere else. thanks for it. Buddy, don’t forget, our old songs 1960-80 are really melodies. There is no need to have any visuals for those songs. Whenever, we listen to them, we any time can make our own visuals in our mind. It is even change to age to age. We all of can see, these young superstar also have no option except those terrible creation made by our old writers like Karunarathana abesekara, somapala leela nanda, Prema keerthi, and KDK dharmawardana. That is the cause, these suppers star also keep singing those songs to make a stand in the field. Could you please post the chords for "Heenayak Wela ..." by Sajith Nuwan? Thanks. Excellent work. Keep it up. P. G. Silva .මහතානනිඔබ වෑනි උත්තමයෙක් මාව දිරි ගෑන්වීම පිලිබදව මුලින්ම ඔබට මාගේ හද පිරි ස්තුතීය පිරිනමමි.ඔබ කියූ පරිදි ඉදිරියේ දී අපේ රටේ සම්පත් වන අපේම පෑරනි ගීත වල කෝඩ්ස් ඒවාට හානියක් නොකර ලබා දෙන බවට පොරොන්දු වෙමි.ඉතාමත්ම ඉක්මනින් ගූගල් වල Sinhala Song Chords කියල type කර ගමන් මගේ සයිට් එක ඔබට පෙනෙන්න සලසන්නම්.ඒ වගෙම මා තව දෙයක් ඔබ සෑමට කිය යුතුයි.මෙම Chordssrilanka ඔබ වෙත ගෙන එන්නේ මා තනිවමයි.ඒ සදහා මා දෑඩි වෙහෙසක් දරනවා.මාගේ රෑකියාවත් සමග තමා මා මේ වෑයම ඔබ සදහා කරන්නේ. හුදෙක් මුදල් ඉපයීමට නොවේ.මේ වෑයම අපේ රටේ සින්හල සින්දු අයිති අපිට.ඒක නිසා මේ සින්දු අපේ රටේ සම්පත්.ඉතින් ඒ සම්පත් වලට හානි නොකර ඒ ගීත වාදනය, ගායනය,කල යුතුමයි.ඒක අපේ වගකීමක්.ඒ වගකීම ඉටු කිරීමට තමයි මා මෙම සයිට් එක පටන් ගත්තේ.අද ලන්කාවේ ගොඩ දෙනෙක් වාදනයට දක්ශයි.නමුත් හරියට වාදනය කිරීමට නිවෑරදි කෝඩ්ස් හොයා ගන්න බෑ.ඊට පිලියමක් වශයෙන් තමා මා මෙම සයිට් එක ඔබ වෙනුවෙන් දියත් කරන්නේ.ඉතින් ඔබට මෙම සයිට් එකෙන් ඔබේ අවශයතාවය සම්පූර්න ඌවානම් මාව දිරිමත් කර හෝ අඩු පාඩු කියා දී යන මෙන් කාරුනිකව ඔබ සෑමගෙන් ඉල්ලා සිටිමි.ඔබ සෑමට සරස්වතී දෙවි පිහිටයි. Thank You so much for publishing the requested chords in such a short time... Your efforts are really appreciated. Dear Sir (Sinhala chords sri lanka) - (This is kind of reply for the appreciation words you posted on June 6, 2014 at 7:22 AM. Mama kamathi, Honda siriyawai akase wage, geethaykata chords daala denawanam, hadissi naa, obata puluwan welawaka mage request aka karala denna. I have no idea how to use Sinhala fonts to write on internet, once I find it, I would write to you in pure Sinhala. Mata therenawa, meka rate thathwaya, goda denek wade kara gaththata passe, epa manai. obata mey wade geniyanna apita yamak karanna puluwan nam kiyanna. Meka hoda wadak, kauru baluwe nathath mathak kale nathath obata Deviyan balawee. I promise you, i would join you by commenting time to time. Just keep in touch with me. Say hello to everyone in your family. Parents, your wife & Kids (if have got married) and all of them. They should be proud of you. I quickly get into your given site where I can study something about. Thanks for the valuable link. Honda siriyawai akase of singer Jothipala, Mekata chords tika denawanam obat pin. Hi Could you please post " Sanda Ahasata Adarei" By Indrajith Dollamulla. Thanks for all the lovely posts. Dear P.G.Silva, June 22, 2014 at 9:57 PM ..Your request completed. I am really grateful to you for completing my request (Honda siriyawai akase). As you don’t get paid from us, only thing that I have to say you is that “Pin siduwewa “. You are making my day so comfortable. Whenever, I get in to your site and see new songs over there, I feel so good. Till we get out of this world, at any time possible, if we can keep someone else happy, you gain something to your next birth. I do certainly appreciate your work. Give my regards to your entire family. Sarawathi Devi Pihitai. Sinhala Song Chords,Sanda Ahasata Adarei. Thank You so much...Excellent work. Keep it up. "Ananda me raa hari hadai ne" , Singer, Haroon lantra and Sujatha Aththnayaka sang this fantastic song. I feel sometime that the words of this song are not easy to find, so whenever you can just drop me the chords of this song. No hurry, get your time. Oh my dear Chord Sri Lanka, you are a fantastic helping character. My request was done so quickly. Devi pihitai, for every one in your family. Work is done.Sinhala Song Chords..Asi Disi Teli Naluwe.. Thank you very much .I was waiting this so much time. Again Thank you!! I seek Chords for " Panawage Hitiyata wenweela giya data" of Mr. Jothipala. No hurry, when you keep on full filling other's requests, Spare some of your valuable time to make this one for me. Thanking you and appreciate your excellent job. As I always say “Pin siduwewa” to you and the family. කරුනාකර ගීත ඉල්ලන විට ඔබේ නම සදහන් කරන්න..
Can you post Salsapumal devata dige by Sisira Senarathna? Very much appreciate your efforts to fulfil all the requests. Could you please post the chords for Victor Rathnayaka's 'Sihina hathak dutuwemi mama' and 'Kurullanta Gee Gayanna' ? Could you please post " Mage unuhuma nethi wela" by Indika Prasad... Thanks for this site. Thanks once again. Your good work is really appreciated..
Can you post the chords for the following two songs of Nanada Malani? Thank you So much for uploading Sadu Danthada. Hi !! I need chords for Dingisi-Dingale.by Mariazelle Gunathilake. Sir , can I please have the chords for Payana Sanda Watakara Tharuwa Wage. Can you please post "Gangak se oba" by Divulgane and Deepika. Thank you very much in advance. Always appreciate your contribution. Hi! Could you please post the chords for "Tharu illa" by Rashika Pradeep. Keep up the good work.